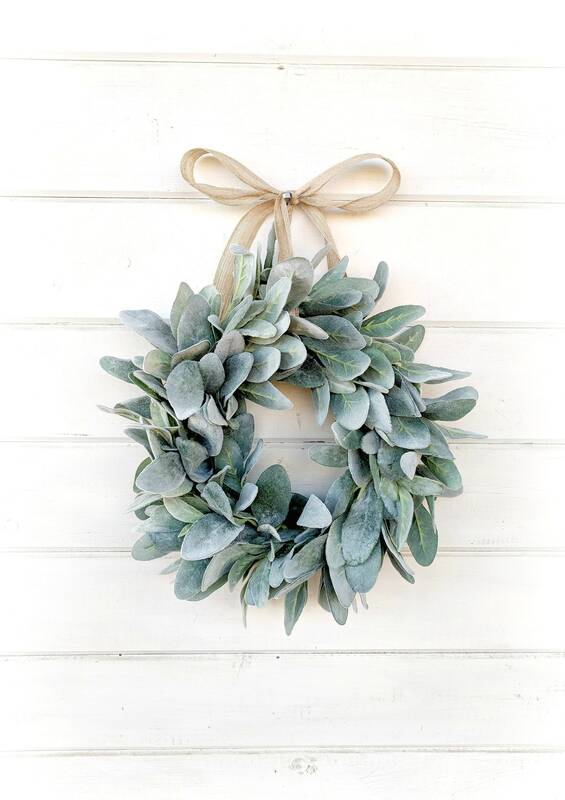 This wreath hangs from a burlap ribbon... 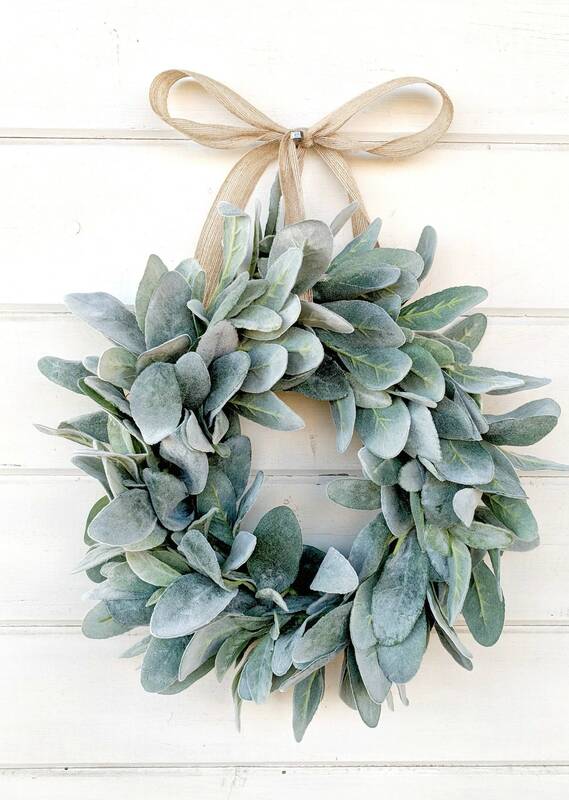 Perfect hanging from a shelf, cupboard, mirror or window. Adorable-great quality- thank you ! The perfect accent to my kitchen! Thank you! 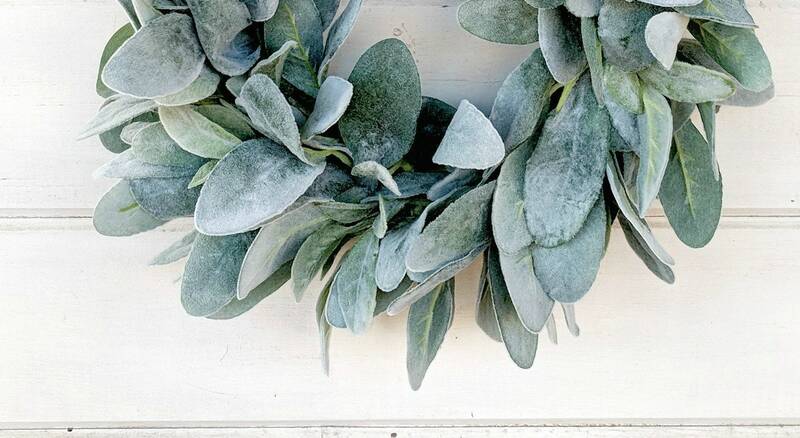 Wreath is a perfect size and yet full and fluffy. Just what I hoped for when ordered.